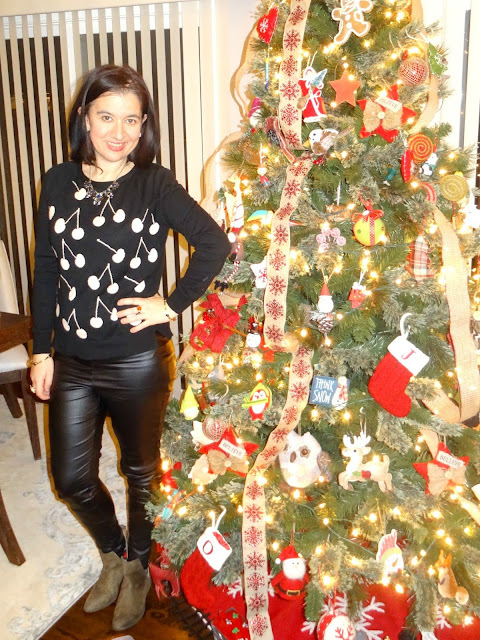 I am wearing head to toe Black - GASP! I say "gasp" because I rarely wear black, let alone wear it head to toe. OK, so my booties are olive green, that is not because I do not have black booties but I was lazy to grab them from my shoe closet in the basement and to tell you the truth, I'd rather wear these Olive Green Suede Booties. 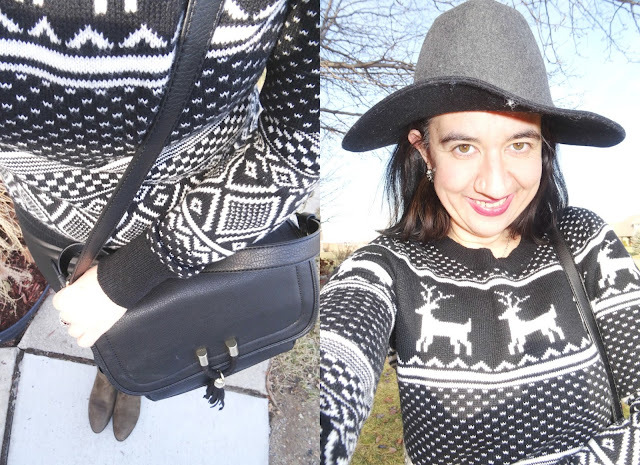 However my Faux Leather Skinny Pants, Fair Isle Sweater (it does have a little white on it), the Panama Felt Hat and the Crossbody Bag are all black. And by the way my socks peeking through the side of my boots are in Black+White Stripes. 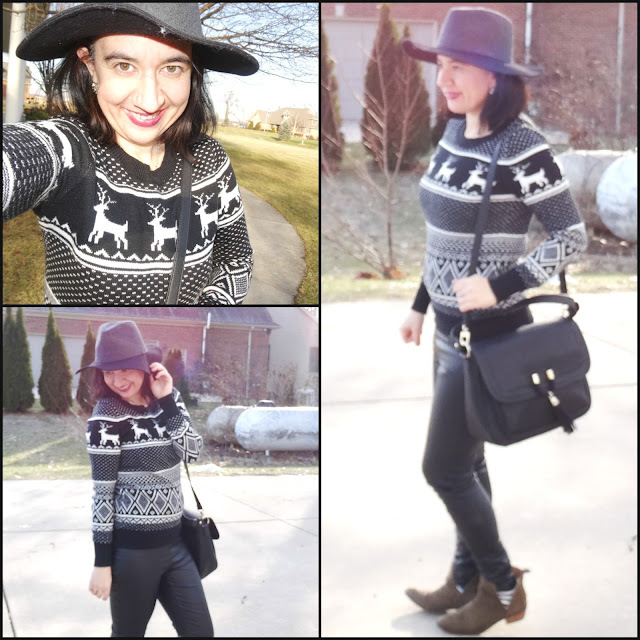 Black+White Fair Isle, Crewneck Sweater w/ Reindeer: Old Navy (New) (similar cardigan option, Steal), (similar w/ hood, on Sale, love this), (similar in white w/ black, Great Deal, my Favorite), (similar, Small Splurge). 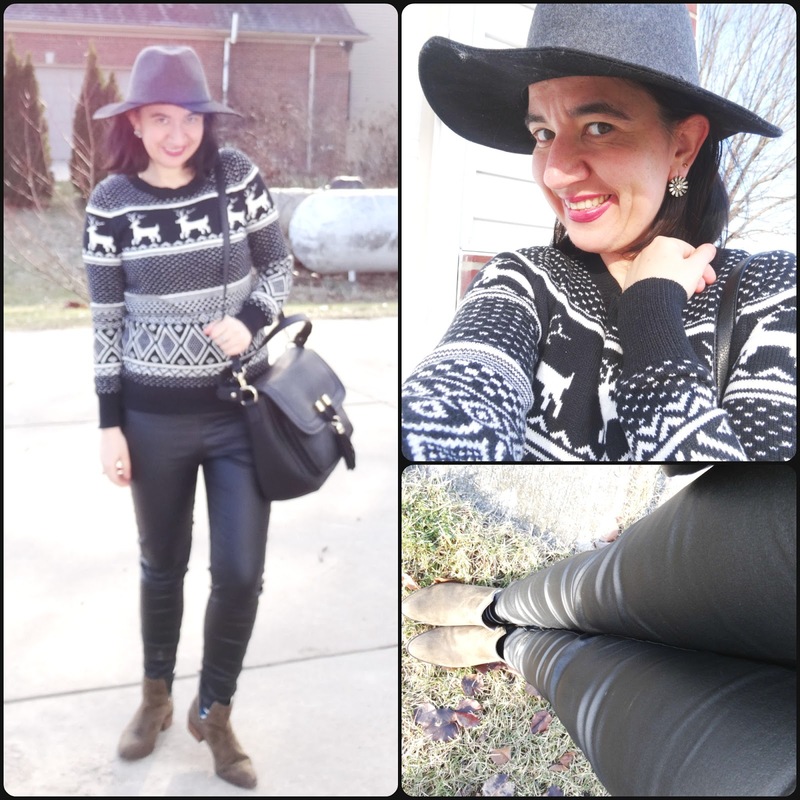 Black Faux Leather Leggings: Maurice's (New) (similar, Steal), (similar, Great Deal), (similar, small Splurge, love these), (similar, Splurge). Black+Charcoal Gray Colorblocked Wool Felt Panama Hat: Forever 21 (quite similar, my Favorite), (similar, Steal), (similar, Great Deal), (similar, Small Splurge, love this). Sunburst Silver "Aster" Crystal Statement Studs: Perry Street via Rocksbox (New) (similar, Huge Steal, love these), (similar, Steal), (similar, love these), (similar, Splurge, my Favorite). Dainty Gold-Tone Interchangeable "Debra" Choker w/ Glass Beads: Kendra Scott via Rocksbox (New) (identical), (similar, Huge Steal, love this), (similar, Great Deal, my Favorite). Black Faux Leather Large Crossbody Bag w/ large Tassel Detail on the front by the buckle: Express (New) (similar, Steal), (similar, on Sale), (similar, Small Splurge, my Favorite), (similar, Splurge, love this). Dark Red/Merlot Satin Lipstick: "Beautifully Bare" by E.L.F. 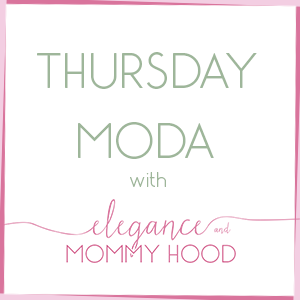 (very similar my E.L.F., Steal, love this), (similar, Great Deal), (similar, Small Splurge, my Favorite). Black+White Striped Socks: Loft (New) (similar, Steal), (similar, Fantastic Deal, love these), (similar, Great Deal, my Favorite). Olive, Faux Suede, Open-side Booties: Charlotte Russe (similar, Huge Steal), (similar, on Sale, love these), (edgy cut-out style w/ buckles, Small Splurge, my Favorite). 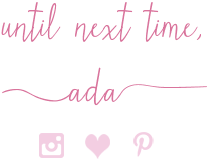 By the way, you can get your own first month of Rocksbox free using my code: ADABFF39. Below is another very similar look minus the hat and IRL I was carrying a Cognac Leather Tote that day rather than a Black Handbag.